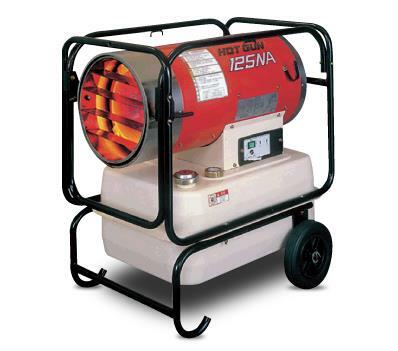 The Ultimate Forced Air Heater , the Hotgun is a spot space heater that heats the air with its high efficiency combustion system. It has a near perfect conversion rate from fuel to energy. * Please call us for any questions on our heater kero 120k btu rentals - serving Washington and Oregon with all your construction equipment rental needs.